The Slimming Underwear Belt is specifically designed to shape the tummy, define your waistline and maximize your curves to achieve a sexier and healthier figure. 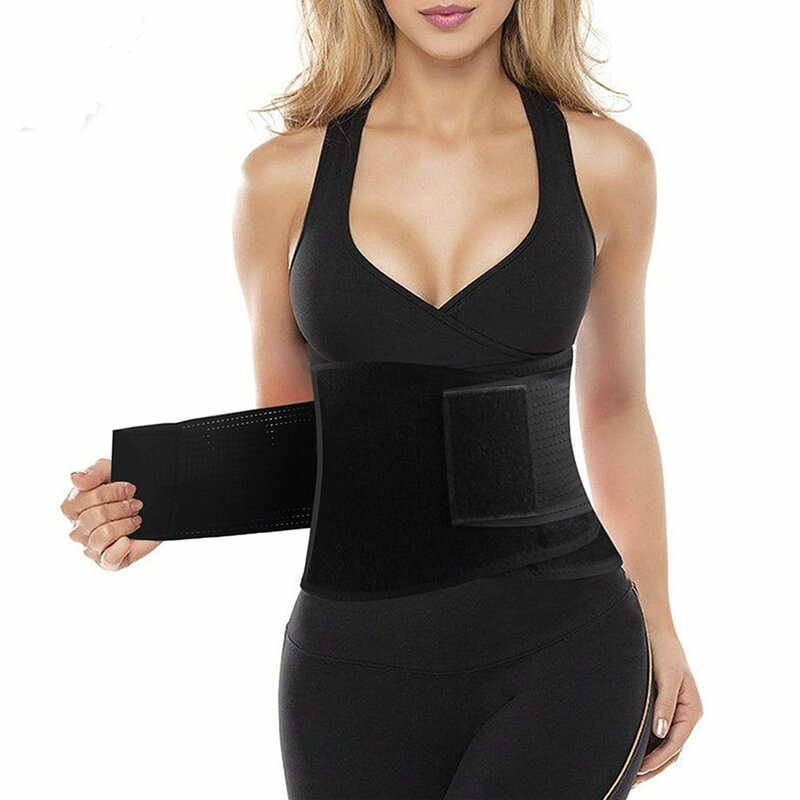 It's perfect for weight loss training, workout band, or even postpartum support girdles. GET YOUR SWEAT ON: Slimming Underwear Belt increases your core temperature during exercise enhancing thermogenic activity and sweat. CONTOURED & FLEXES FOR CUSTOM FIT: Contoured to fit around your waist comfortably and is naturally flexible, so it adjusts to your shape & size allowing for extra back support. PREMIUM: Made with the premium latex- neoprene for superior heat insulation. The trimmer's grid inner lining will not only repel moisture absorption but also minimize slipping and bunching during your workout. CUSTOMIZED TO YOUR UNIQUE SHAPE. Choose from premium sizes with fully adjustable closure for a truly custom fit, and get use to an ab workout belt that wraps around your body with comfort and ease. ONE OF A KIND STOMACH FAT BURNER Belt: Boasting a specially designed interior to repel sweat and moisture to prevent sweat and bacteria build-up - No More stinky belts soaked with sweat and germs after every use! POST PREGNANCY SHAPER - Great for women looking to shape their body after giving birth. Excellent choice as a postpartum belly wrap because it provides a firm support to your waist and flattens your tummy with an easily adjustable waist trimmer band. Tummy Tuck & Back Support - Stretches in the right places and provides tons of support on your sides and back. If you have lower back issues, our waist trainers act as a compression binder around the waist to offer lumbar support, help relieve pain and improve posture. Reduces Risk of Injury; Keep your muscles warm, Improve Posture, Stabilize Spine. Provides Support that Helps Prevent a Herniated Disc, Lumber Muscle Strain, and Back Pain.